Oooh, new things from Lush. New things from Lush! I was overwhelmed with all the new Mother’s day & Easter stuff when my friend and I went into our local store, they have so much stuff! 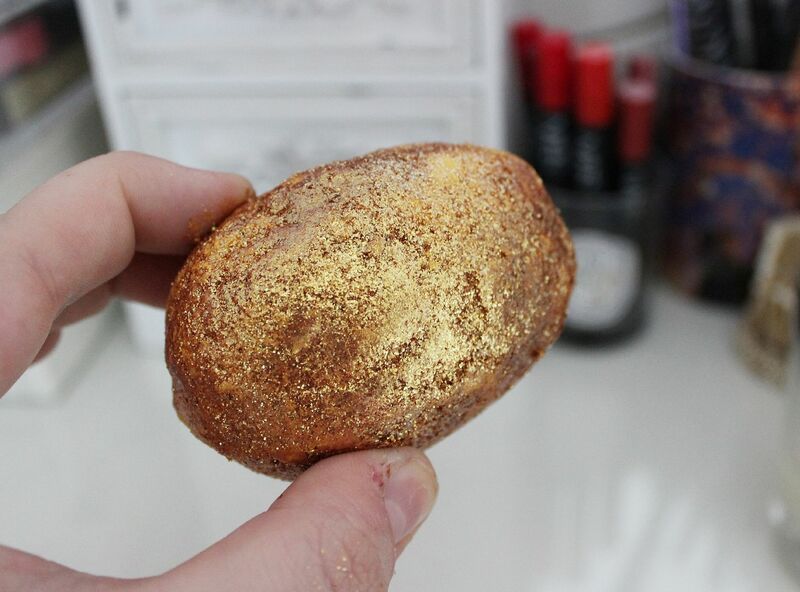 With my typical magpie like mind I was drawn to the glitteriest thing I could see – Lush Golden egg. It smells like Honey I washed the Kids, which is basically like honey and toffee and smells amazing. 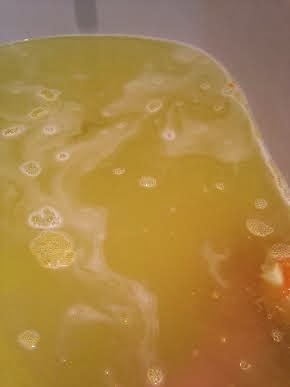 It’s my favourite lush scent… The Golden Egg is a bath melt & a bath bomb, crazy. The outer corner is the melt, so it dissolves slowly. I found it a bit anticlimactic really. I like my baths from Lush to be a big theatrical event. The bath water was a dubious colour, and it didn’t melt in a very exciting way. Let down. However the smell was immense, and my whole flat smelt like toffee for ages after which was obviously delicious. The bath melt element did leave my skin feeling softer than normal after as well, which was good. The glitter was all over my bath which personally I don’t mind, but I’m not sure how impressed my boyfriend was. I am too lazy to clean. So, I loved the scent but was left a bit disappointed really. The other thing I picked up was Fluffy egg, so I’ll report back on that.